The University of the Fraser Valley men’s basketball team wrapped up its first-semester schedule with a flourish, running its win streak to seven games with an 80-60 triumph over the UBC Okanagan Heat on the road Saturday. Parm Bains and Mark Johnson both posted season-high point totals for the Cascades, notching 27 and 24 points, respectively, and Johnson added 11 rebounds for his fifth double-double of the campaign. Those key performances helped the Cascades overcome a rare triple-double – just the 14th in Canada West history – from UBCO’s Aldrich Berrios, who posted 15 points, 11 assists and 10 rebounds. UFV boosted its record to 8-4, good for a share of third place in Canada West with the Winnipeg Wesmen. The Heat, which started the season with four straight wins, fall to 5-7. “UBCO came out with great intensity today which we didn’t match at first,” Cascades head coach Adam Friesen said afterward. “But credit to our guys for recognizing and responding properly. The Cascades, coming off a 92-62 victory on Friday, started relatively slow on Saturday – the Heat’s Jacob Stokker hit a three-pointer at the buzzer to give the hosts a 22-21 lead at the end of the first quarter. But Bains could not be contained, and his red-hot shooting from downtown sparked UFV to a strong second quarter which saw them outscore the Heat 24-16. The third-year point guard from Surrey, B.C. scored 20 points in the first half alone, hitting a scorching 6-of-9 from beyond the arc as the Cascades led 45-38 at the break. It was more of the same in the third quarter. UFV opened the frame on a 15-5 run to stretch the lead to double digits, and they put together an 8-0 surge bridging the third and fourth quarters, holding the Heat scoreless for over four minutes as they went up 73-50. The Cascades weathered a four-minute scoring drought of their own at that point, but their lead proved insurmountable. Andrew Morris did a little bit of everything for UFV, posting eight points, six rebounds and a team-high five assists, and Sukhjot Bains’s seven-point outing included a pair of highlight-reel, coast-to-coast, steal-and-dunk sequences. Jacob Stokker scored a team-high 16 for the Heat, and Philip Okanlawon added 10 points. The next Canada West game action for the Cascades basketball teams comes Jan. 4-5, when they host the Brandon Bobcats at the Envision Financial Athletic Centre. The University of the Fraser Valley women’s basketball team faced a stiff test on Saturday evening from a UBC Okanagan squad desperate for its first win of the season. 🏔🏀 WBB RECAP | @taylorclaggett and @mallette_kate came up HUGE for the Cascades tonight vs. @UBCOHeat! Claggett had a game-high 26pts & 8reb, and Mallette scored 12 of her 15 points in the 4Q! UFV's win streak is at 5⃣! But big nights from Taylor Claggett and Katelyn Mallette allowed the Cascades to pull away in the fourth quarter for a 72-59 victory, and UFV (7-5) heads into the Christmas break on a five-game win streak. Claggett had yet another standout performance in a season full of them – the fourth-year forward from Mission, B.C. poured in 26 points in exceedingly efficient fashion (9-of-16 from the field, 8-of-8 from the free throw line). She’s currently third in Canada West scoring, averaging 19.8 points per game. Mallette, meanwhile, came up huge in the fourth quarter, scoring 12 of her 15 points in the final frame to seal the victory. Brianna Falk paced the Heat (0-12) with 17 points, and UBCO point guard Vanessa Botteselle had 11 points and seven assists with just one turnover. The Cascades, 73-48 winners over the Heat on Friday, got off to a horrendous start in Saturday’s rematch. They coughed up nine turnovers in the first quarter, and found themselves trailing 17-11 after 10 minutes. UFV remedied its turnover woes from that point, surrendering just nine the entire rest of the game. They came through with an outstanding second quarter, outscoring the Heat 29-17 to grab a 40-34 advantage at the half. Back-to-back triples from Kate Head and Abby Zawada kick-started the comeback, and Claggett racked up 13 points in the frame. The Heat, though, would not flicker on this night. The Cascades appeared poised to pull away in the third quarter, stretching the lead to eight after a Claggett jump shot. But UBCO’s Jordan Korol answered with a bucket on the next possession to ignite a 7-1 run, and the Heat would eventually draw even at 55-55 after a Botteselle layup with just under eight minutes left in the fourth. Mallette took over at that point, though. She reeled off six straight points – a pair of free throws, a sweeping reverse layup, and a baseline spin move – and Amanda Thompson followed with a layup of her own to cap a 8-0 UFV run. UBCO’s Falk answered with a layup, but Head swished a three-pointer on the Cascades’ next trip, and Mallette followed with two more layups in succession to make it 70-57 with two minutes left and drain all suspense from the proceedings. Head also had a strong performance, finishing with 12 points, six rebounds and five assists for the Cascades, and Abby Zawada went 3-of-5 from beyond the arc to account for all nine of her points off the bench. 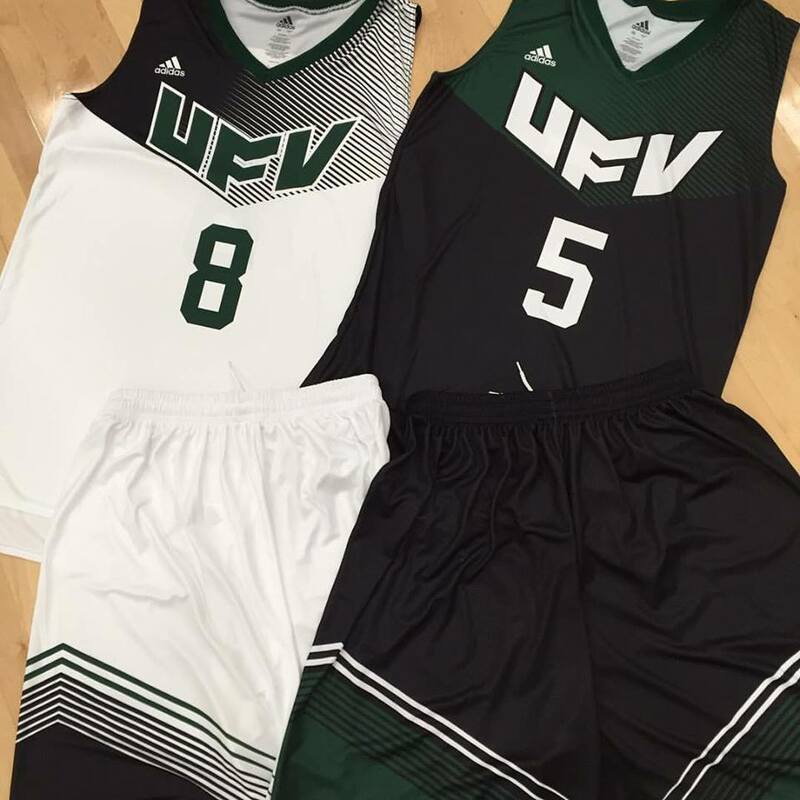 Be the first to comment on "UFV Sports Saturday – Cascades Hoops Continue Okanagan Roll"